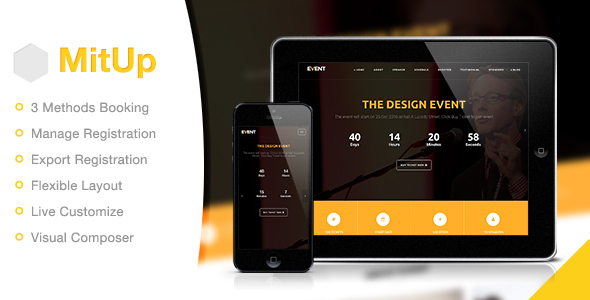 MitUp – Event & Conference WordPress Theme is a clean and Modern Event and Conference WordPress Theme. MitUp is best suited for any event type like Conference,Meet-Up, Ceremony, Seminars, Courses, and more. This is a business template that is helpfull for online presence for Corporate Business and Any Firms. - Fix share in schedule element.